A member of the Kiwanis Family, Key Club is the oldest and largest service program for high school students. In thirty-seven countries and with over 270,000 members there are a total of 5,300 Key Clubs in operation today. Photo courtesy: PNW Key Club. Everyone knows of Kiwanis but did you know there are other levels to this charitable organization? At the high school level, there’s Key Club. Their mission is similar to Kiwanis; they support fundraising and service projects for various local and even international humanitarian efforts. Bob Holland has chaperoned for conventions in Seattle or Portland for The PNW District. Part of that is learning what is happening in different parts of the world with other clubs. “There is an international flavor to it as you are rubbing shoulders with others,” he says. 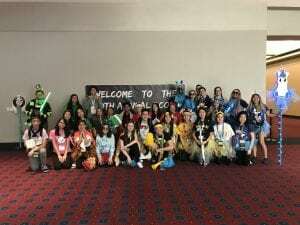 Photo courtesy: PNW Key Club. There are 10 different local Key Clubs in Division 38. Division Lt. 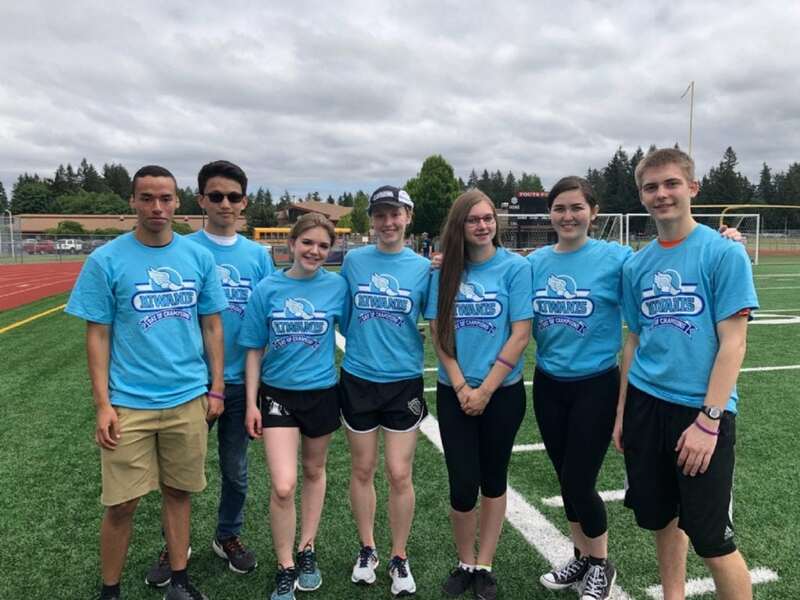 Governor Yufan Mou works hard to support individual high school groups and share information from the larger district PNW Key Club, which includes Washington, Oregon, parts of Idaho, Alaska and parts of Canada. There are local clubs at W.F. West High School, Centralia High School and Onalaska High School. Now a senior at Olympia High School, Yufan became involved in Key Club during her freshman year. “Key Club at my high school is well-known and has a positive reputation,” she says. Her older sister was part of The Circle K Club at Washington State University, the college level for Kiwanis. There are also Kiwanis established clubs for middle school and at the grade school level, Terrific Kids. Yufan remembers when they went to camp and the officers told them all there was a spa. Members brought robes and spa supplies with them, so the group all gathered to roast marshmallows in the fireplace in their face masks and pajamas. Photo courtesy: PNW Key Club. The Thirst Project was started by young people and 100 percent of the funds raised go to building wells. The Key Club district’s goal is to raise enough money for six wells at $75,000. 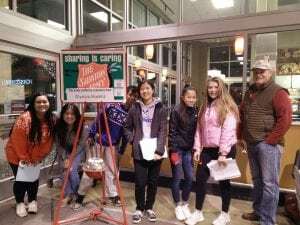 One winter Key Clubbers volunteered as bell ringers for the Salvation Army. “I had a lot of fun being a bell ringer,” says Yufan. “It is a bit awkward at first, but we sang carols for six hours straight. Seeing little kids being happy and people spreading holiday joy felt really good.” Photo courtesy: PNW Key Club. This fun fundraiser happens in a one-minute timeframe when students are asked to donate their loose change to the Kiwanis Cancer Children’s Program. 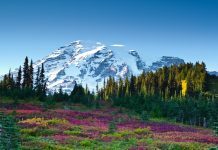 Other club goals include continued work within the local community like a fall blanket drive and trash pickups in Chehalis. Dalan is focused on growing leaders and community contributors through participation in Key Club. Key Clubs support the Kiwanis Clubs with manpower and as volunteers at Kiwanis events. 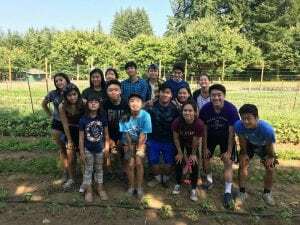 “We try to connect with Kiwanis family as much as possible because they help us so much,” says Yufan. Photo courtesy: PNW Key Club. Bob Holland of Centralia General Agencies is a proud Kiwanian with The Kiwanis Club of Centralia-Chehalis. They support Key Club in their efforts to be good citizens. “The role of the Kiwanis Club is to foster the Key Clubs in high schools,” he says. “We’re there to attend meetings and be a resource. We also help financially with funding for various leadership training for kids that want to be part of the bigger organization. We are on the sidelines helping the club grow and be a resource also for the advisors. Mrs. Dalan is a long-time staff advisor doing a great job.